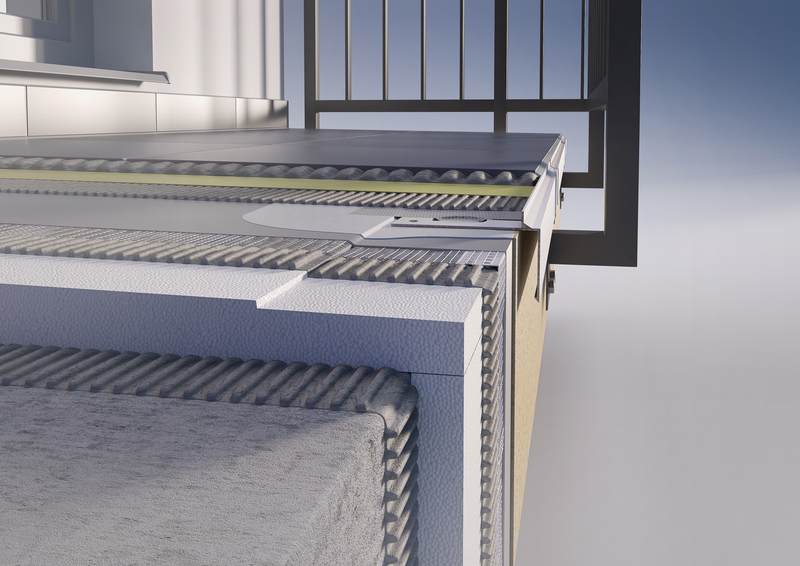 Balcony profile PRIAMY - is a finishing profile with drip edge variable from 10 to 30 mm for installation of sloped screed. 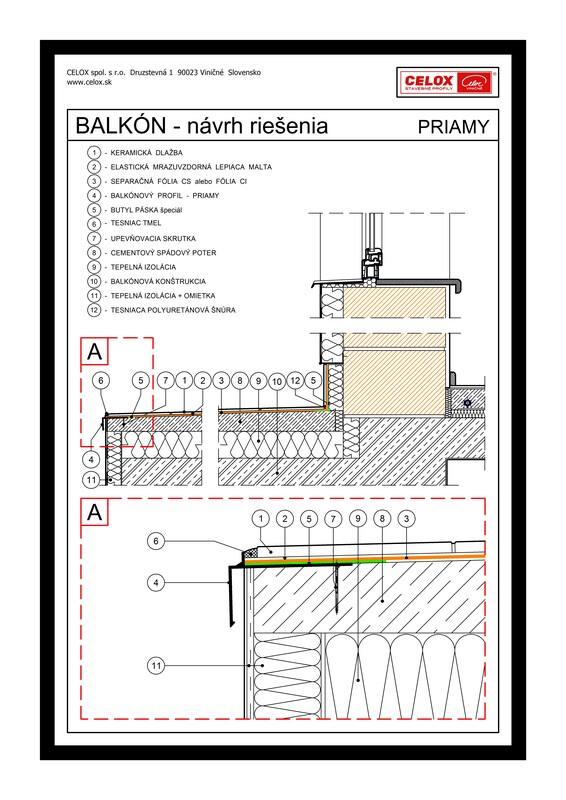 Is used in cases where is not possible to use a different profile due to the lack space between the end edge of the balcony railing and bracket. The finishing edge height is 10 mm. Using closed edges to get the perfect finishing coverings. It is suitable for construction compositions with one or two component elastic hydro insulation or separation foil CS. Profile can be combined with Balcony profile FLEXI . Using: It is used to cover the two parts of profile, an expansion gap between the ends of the profile should not be less than 2 mm.